The Tennessee Bureau of Investigation has arrested a Rutherford County man for posing as an investment advisor to clients who gave him money to invest after he was indicted by the Rutherford County grand jury earlier this week. 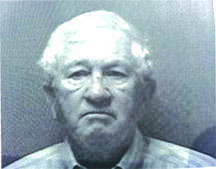 Ralph Turley III, 72, of Murfreesboro, Tenn., was indicted on one count of possession of client funds while acting as an unlicensed broker/dealer, one count of acting as an investment advisor while unregistered and one count of acting as a broker while unregistered. Each of these counts is a class D felony. The investigation revealed that between 1995 and 2011 while Turley was working as an accountant, a Murfreesboro couple gave him between $750,000 and $815,000 to invest for them. Hurley promised his clients a percentage return on their investments. He paid his clients some money over the years, but eventually informed them the money was gone. The 16th Judicial District Attorney General requested TBI investigate Turley in January of 2012. TBI agents received investigative assistance from the Enforcement Section of the Tennessee Securities Division. Turley no longer works as an accountant. He was booked into the Rutherford County Jail late yesterday, released on $5,000 bond and is scheduled to appear in court on June 17th.